Josh Thomas focuses his practice on complex business and commercial litigation, particularly for clients in the oil, gas and energy industries. Josh strives to understand not only his clients’ immediate goals for the litigation at hand, but all aspects of his clients’ businesses, so that he can develop efficient and effective strategies and obtain successful results. With prior experience as a project scientist for an environmental engineering and consulting firm, Josh also has a wide scope of knowledge regarding technical issues in the environmental, health and safety, and construction fields. This experience paired with his experience in representing clients in the energy industry gives Josh a unique depth of awareness of the issues his clients face. Served as second chair in a Harris County, Texas, jury trial in a dispute between business owners over the development of intellectual property. Obtained a jury verdict for monetary damages for the client and a permanent injunction against the defendant. 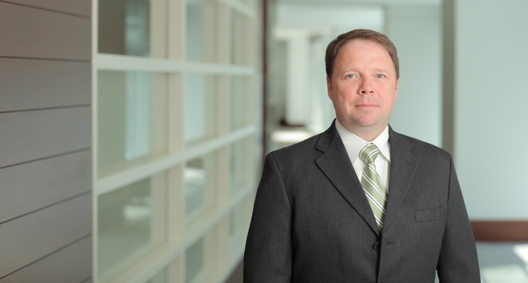 Served as second chair in a Louisiana bench trial involving a dispute over ownership of mineral assets in the Haynesville and Bossier Shale plays. Served as second chair in a commercial arbitration case involving a dispute over the installation of a turbine control system. Obtained a favorable result for the client, including award of actual damages and attorney’s fees and a take-nothing judgment on the defendant’s $5 million counterclaim. Assisted in the defense of a client in a federal court lawsuit involving the client’s licensing and development of an industrial wastewater treatment technology in partnership with a public university in Texas. Obtained a favorable settlement amounting to less than a 10th of the damages sought by the plaintiff. Assisted with the representation of an operator involved in a dispute over a title to minerals in Louisiana. Won summary judgment in favor of the client on all of the plaintiff’s claims. Assisted in the defense of a client in a multibillion-dollar environmental civil penalty action. Assisted in the defense of an oil and gas industry client in a dispute involving an exploration agreement and a joint operating agreement. Obtained a favorable outcome for the client through a series of successful motions for summary judgment that challenged the plaintiff’s standing to bring claims for assignment of valuable producing properties under area of mutual interest provision. Assisted in the prosecution of a seismic exploration company’s claim for overriding royalties owed under a seismic data licensing agreement. The matter was settled in favor of the client. Represented a client in the retail energy industry in a claim for early termination fees under a commercial natural gas supply agreement in federal court in Massachusetts. Resolved in favor of the client at mediation. Defended a retail energy industry client against a New York plaintiff’s class action lawsuit under the Telephone Consumer Protection Act. Acquired a dismissal after strategic use of an offer of judgment that mooted the plaintiff’s individual and class action claims. Defended a retail energy industry client against the plaintiff’s claims of “slamming” and “cramming” in the Southern District of New York. The matter was dismissed based on the plaintiff’s lack of standing.